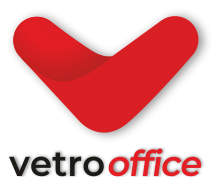 WHY WORK WITH VETRO OFFICE SUPPORT? Within Vetro, we have a specialist HR division. We help clients to find the best talent within the market and candidates to find their ideal job. Talent is the driving force behind everything we do, If you’re searching for a new opportunity, progression or a change, our specialist consultants are on hand to assist and support you through every stage of the recruitment process. If you can't see the HR position you are looking for, please give us a call on 02921 660880, and one of our specialist team will be able to discuss exactly what you are looking for. Follow us on Facebook, Twitter & LinkedIn for our latest HR jobs, blogs & industry-specific news. Visit our blog for the latest news, views and sector updates.